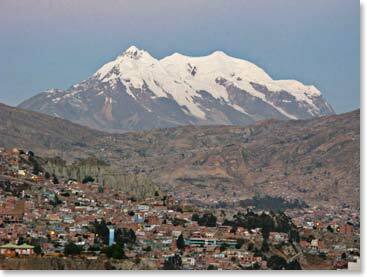 Good morning, this is Osvaldo calling from La Paz, Bolivia. Today we have a really clear sky and we are surrounded by mountains. We are at the beginning of our Bolivia trip. Joe and Martin have arrived and they are at the hotel resting. Next we are going to check our climbing equipment and get it ready and then we are going to walk around La Paz to start our acclimatization for the next week. I will keep you updated. Bye! 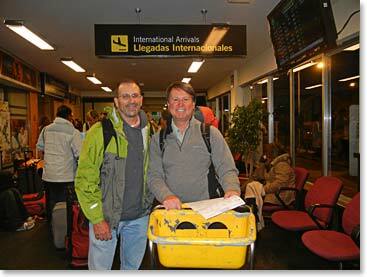 Joe and Martin have arrived in La Paz.